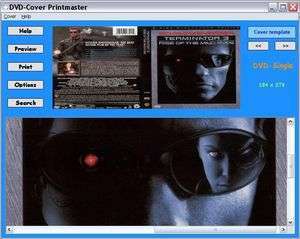 DVD-Cover Printmaster allows you to print DVD covers quickly. Simply select the images for your cover template and the program will automatically resize the images for you. Makes it easy to create great looking covers for any cases. Import covers direct from a website by simply dragging the images from the website and dropping it directly to the cover canvas. For security reasons, you should also check out the DVD-Cover Printmaster download at LO4D.com which includes virus and malware tests. Additional screenshots of this application download may be available, too. DVD-Cover Printmaster has a presence on social networks.